We are looking at software that has been doing very well for a while now. Infusionsoft reviews are generally positive, with a few complaints here and there, but that isn’t anything to be discouraged by. Let’s examine some things about Infusionsoft that might shed some light. 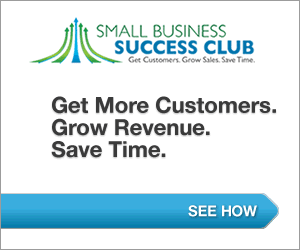 Market for CRM for small business. CRM softwares were initially designed for the more customer-centric businesses that would have large volumes of customer databases to handle. This initial practice has now snowballed to include even small businesses in the CRM since technology minimizes human effort and maintains a high standard of efficiency. The best CRM for a small business would be one that is devoted to small businesses like Infusionsoft. It is CRM software manufacturing Developer Company named and is gaining popularity and credibility as the best CRM for small business in different sectors. Infusionsoft, a hero for small businesses. Infusionsoft, has a mission statement that declares its sole purpose as “Helping small businesses succeed.” They have done justice to that mission by preparing CRM software dedicated to the complete organization and automation of the customer databases of small businesses. With over 17,000 customers and 60,000 plus users, Infusionsoft has taken its humble beginnings to great heights. It has stayed true to its mission statement thus far, helping out a lot of small businesses manage the pressure of growing customer bases. The Infusionsoft API enables communication with third party applications to process incoming data for a myriad of uses. In a nutshell, API’s are effectively translators that interact with outside databases while keeping the integrity and security of your application. API’s are made to allow applications to talk to each other, so to speak for the purposes of data transfer. An in house PHP library known as “iSDK” is supported by Infusionsoft, there are also a lot of open source helper libraries made available by the community which could be of great use! Also, sample files that allow for the inclusion of many programming languages such as Java, .NET, Perl, PHP etc. are accommodated in the Infusionsoft API. Is Infusionsoft a bang for your buck CRM software? Infusionsoft Kickstarter. Infusionsoft offers its CRM software services at different brackets depending on features availed. Any package requires you to take a kickstarter fee of 2,000 to 3000 US$. This kickstarter fees is for them to train and familiarize you with the software, showing you how to use it to its potential for your business. It is a very vast software with a lot of little things to learn about that might be difficult without proper guidance. While this seems like a hassle and a tad unfair to be paying separately for coaching to use software it comes highly recommended. The training will set you up very well for your regular business use. Infusionsoft pricing for monthly packages. The monthly packages cost differently based on features availed, ranging from 199$ as most basic to 379$ for the full package it is not unreasonable and offers quality. Having said that, it is not a small amount of money, so while theInfusionsoft pricing seems reasonable, the only way to determine its value for money is the extent to which you utilize most or all of the features provided for your package. Infusionsoft as mentioned before requires the kickstarter training and the setup can take as long as 4-6 weeks even less for more advanced marketers & technologically experienced people. Although this seems like a long time, it may not be that long in practice since the training and your setup go hand in hand. You learn to use the software while actually using it for your business simultaneously. No software is perfect, we all know that. Infusionsoft however is really good, and that is as close to perfection as most people need. Given that it offers a load of features that require mandatory training for a minimum 6 weeks, it has the firepower to match its price. With a 24×7 chat customer service the package is well backed up and any grievances and/or doubts can be cleared by the customer service representatives. This helps loads because in case the customers do not wish to wait half an hour for a response, they can communicate easily at night time. The campaign builder is probably the clincher for Infusionsoft. The visual drag and drop interface provides a nice mapping tool for automated tasks. You can visualize them for better planning and decision making, not to mention this makes the software extremely customer friendly and might be a reason for the highly positive infusionsoft reviews. While this has nothing to do with the actual work that the software is required for, it definitely helps a lot! As added bonuses, the navigation is clean and simple which can be quite hard to find in most soft wares. The infusionsoft community itself is a massive bonus to the brand with a lot of open source add-ons and other features being made by developers for specific tasks which can be used by everyone. The software comes with a light and zippy e-mail editor that makes it really convenient to send emails with nice template options and spam detection features. Great searching is a simple but often overlooked requirement that Infusionsoft has taken care of very nicely with the option to save searches and customize them to quite the degree. This little search tool and the data cleanup tool make Infusion one of the best organizers around. The data cleanup tool gets rid of annoying duplicates that you do not have the time or energy to find and scrub out. Almost any Infusionsoft review often holds it very strongly recommended. It takes time to learn and setup, but it is all worth it in the end. No software is perfect, but few are this good. The team of Infusionsoft is an exciting prospect with a recent $54 million investment from Goldman Sachs. This is definitely software that looks promising.